OASIS - Identifies the patient’s ability and the type of assistance required to safely ambulate or propel self in a wheelchair over a variety of surfaces. The intent of the item is to identify the patient’s ABILITY, not necessarily actual performance. 0 - Able to independently walk on even and uneven surfaces and negotiate stairs with or without railings (i.e., needs no human assistance or assistive device). 1 - With the use of a one-handed device (e.g. cane, single crutch, hemi-walker), able to independently walk on even and uneven surfaces and negotiate stairs with or without railings. 2 - Requires use of a two-handed device (e.g., walker or crutches) to walk alone on a level surface and/or requires human supervision or assistance to negotiate stairs or steps or uneven surfaces. 3 - Able to walk only with the supervision or assistance of another person at all times. 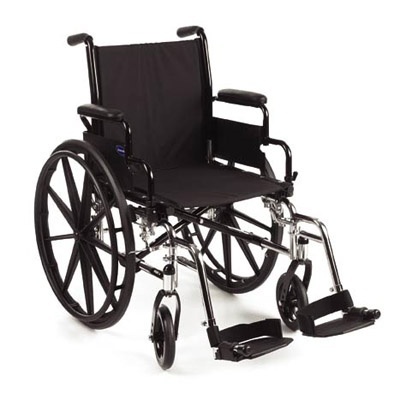 4 - Chairfast, unable to ambulate but is able to wheel self independently. 5 - Chairfast, unable to ambulate and is unable to wheel self. 6 - Bedfast, unable to ambulate or be up in a chair. “Variety of surfaces” refers to typical surfaces that the patient would routinely encounter in his/her environment, and may vary based on the individual residence. The patient’s ability may change as the patient’s condition improves or declines, as medical restrictions are imposed or lifted, or as the environment is modified. The clinician must consider what the patient is able to do on the day of the assessment. The ambulation/locomotion scale presents the most optimal level first, then proceeds to less optimal mobility abilities. Read each response carefully to determine which one best describes what the patient is able to do. Regardless of the need for an assistive device, if the patient requires human assistance (hands on, supervision and/or verbal cueing) to safely ambulate, enter Response 2 or Response 3, depending on whether the assistance required is intermittent (“2”) or continuous (“3”). If the patient is safely able to ambulate without a device on a level surface, but requires minimal assistance on stairs, steps, and uneven surfaces, enter Response 2 (requires human supervision or assistance to negotiate stairs or steps or uneven surfaces). If a patient does not have a walking device but is clearly not safe walking alone, enter Response 3, able to walk only with the supervision or assistance should be reported, unless the patient is chairfast. A combined observation/interview approach with the patient or caregiver is helpful in determining the most accurate response for this item. Observe patient’s ability and safety on stairs. If chairfast, assess ability to safely propel wheelchair independently, whether the wheelchair is a powered or manual version.